To add a charming and casual French country touch to your home, consider the following ideas next time you bring cut flowers home or are looking for a garden planter. Our home is our canvas, let’s enjoy! 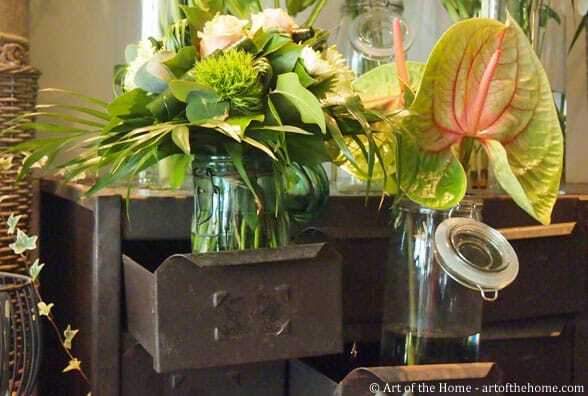 A tall jar can be transformed into a rustic vase to decorate your kitchen or outdoor table. You can remove the top lid if you wish but keep the hardware around the jar mouth to give it its old country look. A weathered zinc bucket with a wooden handle becomes a one of a kind zinc planter or pot holder (cache pot). 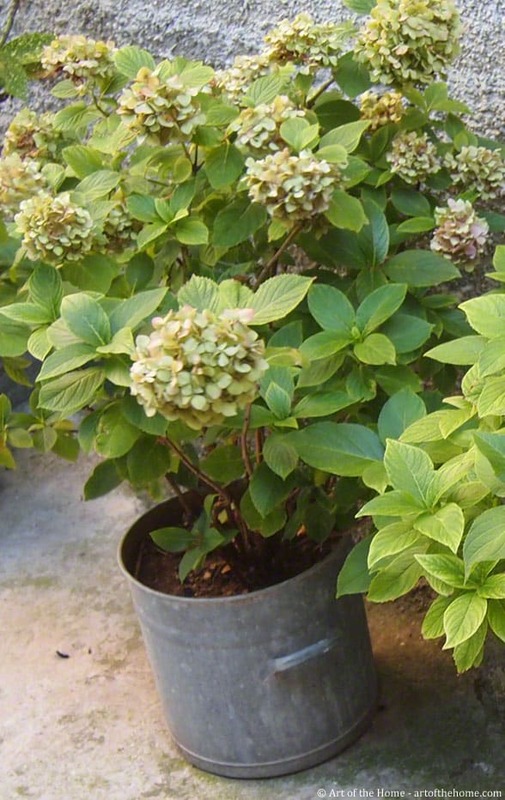 The unique worn patina of zinc planters give them a vintage look suitable outdoor or indoor in a French country decor. But if you put potting soil directly inside the zinc planter, we recommend drilling a few small holes at the bottom for drainage purposes. If you plan on using your zinc planter as a pot holder (a preferred choice for indoor use), simply pot your plant in a cheap gardener plastic pot and place it inside your zinc planter. The water will drain at the bottom of the zinc planter with no water leakage. And the water left at the bottom of the zinc planter will be absorbed by the plant as needed.